Many teachers use learning targets as a way to improve student understanding of the purpose of a lesson or unit of study and to focus assessment. As with any teaching practice, the details of how you use the strategy make a huge difference. Here are a few ways to make learning targets helpful for teaching and learning. 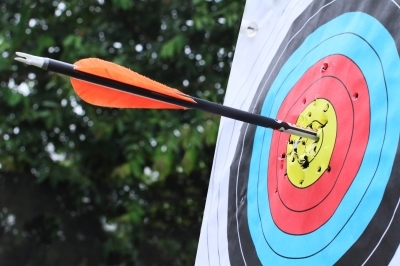 When some teachers are new to using learning targets, the target describes what the students will do in class–or, what the learning activity will be. Targets written this way look like this: “Read chapter 10 and answer questions 1-6” or “Work in small groups, comparing President Obama’s first inaugural address to President Franklin Roosevelt’s.” Chapter 10 might be very worthwhile, and it might be fascinating to examine how two different presidents took office in times of intense financial insecurity. However, while it is clear what students willÂ doÂ in these classes, it is less clear what knowledge and skills they willÂ learn. If we rewrite the second example to be about learning, it might read: “I can use evidence from President Obama and FDR’s first inaugural addresses to analyze the similarities and differences between the Great Depression and the contemporary financial crisis.” In this case, it is clearer what the goal for the lesson is, and we can check to see if we have achieved the goal. Here is a Common Core ELA standard: “Analyze how an author draws on and transforms source material in a specific work.” As standards go, that one is pretty straightforward. Still, by doing a little work, we can reframe the standard to make it a bit more inviting. In this video, we see teacher Jason Shiroff use the strategies of peer sharing and class discussion to unpack the learning target “I can use transition words (or phrases) to connect paragraphs.” Students get the opportunity to briefly discuss with each other what the target means and then discuss the difference between a word, a phrase, and how they might be used for transition. This is a critical step: if students don’t know what the target means, it’s pretty hard to reach it! One of the best uses of learning targets is for formative assessment. Formative assessment helps students understand the goals for learning, the students’ current understanding, and how they might close any gaps to reach the goals.Â In the video above, Jason Shiroff uses hand signals for students to indicate their level of understanding of the learning target and then offers students the opportunity to meet with him to shore up their ideas. Midway through a lesson, teachers can use a quick-check discussion, or use one of many easy technology tools for gauging student progress (Jayme Linton has several great suggestions for these tools here). Because these tools gather the data quickly, teachers can regroup students as necessary or conduct a brief, 5-minute mini-lessonÂ (modeled in this video by Rick Kleine) to the class or a group of students. It is important that this check is directly linked to the learning target, not just a series of seemingly random questions. A mid-way check in using ourÂ Tom Stoppard example would include specific connections to the humor and character development referenced in the learning target. Finally, at the close of the lesson, asking students to reflect on or share their learning is critical. This lets you know if the students are really ready to move on from this target, or if some need reteaching or other learning opportunities. If students have self-assessed at the beginning of the lesson, it is often helpful to do so again at the end of the period. Some teachers use a whole-class debrief or closing activity and others use exit tickets as ways to sum up the lessonÂ (nice postÂ hereÂ fromÂ Rebecca AlberÂ on exit tickets). Expeditionary Learning produced this helpful rubric for assessing your learning targets. It would be helpful information to ask students to assess the learning targets and provide feedback. How do you use learning targets to inform instruction and student understanding?